The above quote was from a speech given by a recently retired industry leader. The speech was delivered in 1971. 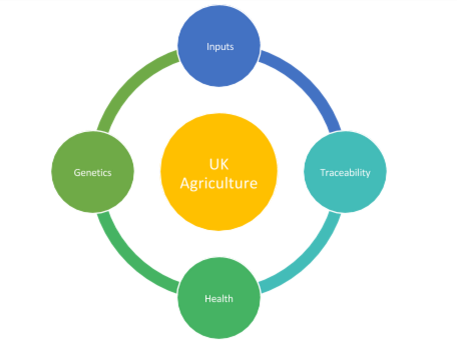 With over 20 years’ experience in UK agriculture, with first-hand experience at grass roots, public sector, and the private corporate level we have lived through the changes and experienced the challenges the industry continuously faces. At Agrismart we understand the need to incorporate good business sense with good practical knowledge. We work in partnership with global leaders in technology and manufacturing around our 4 pillars. This is what allows us to bring innovative and commercial solutions to our customers. We haven’t stopped there, we have also looked intensively at the supply chain across agriculture. 1000’s of farm supply businesses rely on our farmers, without them they have no customers. We have seen the costs associated with selling products to our farmers spiral over the last decade, this cost is directly transferred to the farmer. We provide solutions to farm businesses that allow them to be more efficient and ultimately more competitive. Only by doing this can farm input prices fall. Because of our unique and independent position, we are able to provide insight and solutions at a policy level. We are self-funded, we don’t rely on government grants, venture capitalist investment or membership fees to justify and fund our existence. This position allows us to lobby effectively without constraint to deliver solutions and concepts that will support our farmers. We believe in celebrating our farmers who have thanklessly taken on the job of feeding the rest of the population in the face of ever-changing challenges and regulation. It is because of this we all have the freedom to do what we want and be what we want. Agrismart is about giving something back to our farmers.